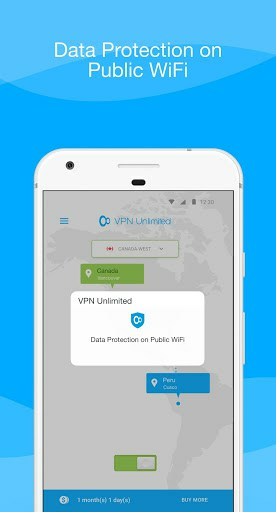 VPN Unlimited – The Best Private & Secure VPN service for Android!Get secure and unlimited access to your favorite websites wherever you are! Join Millions of Anonymous Users who trust VPN Unlimited to keep their Data Private and Secure! VPN Unlimited is the most trusted security, privacy and access platform among all other VPN service providers with top performance in speed, stability of connection and security. 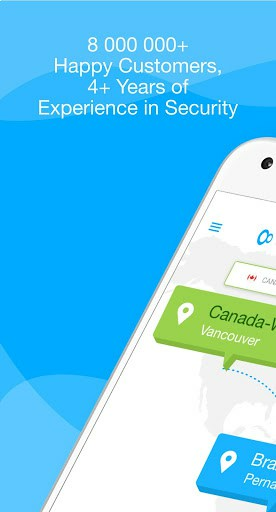 VPN Unlimited gives you truly unlimited online freedom – just one tap and you are able to bypass geo-restrictions and access world’s content from anywhere, always. 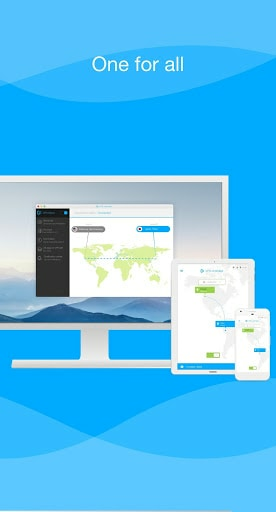 Fastest – Connect successfully and quickly as a hare with high VPN speed. Unlimited Access – Unblock any websites with our VPN proxy servers, and protect your network traffic under WiFi hotspots to browse anonymously and securely without being tracked. Enhanced KeepSolid Wise protocol: Even stronger protection of your data. Optimal protocol: Let the system make the choice of the most suitable protocol for your current connection conditions. Trusted networks: Add networks to the trusted list, and the VPN connection will be automatically disabled. Rename your Personal Server: Change the default name of personal server to whatever you like. Update & enjoy the latest improvements!